The MSLL Closing Ceremonies for Rookie Senior, AA, AAA and Majors will be held on Saturday 16th June 2.00pm on the Myrtle Majors diamond. Teams should meet at the field at 1.45pm. Teams will be called up one by one for players to receive their participation trophies and the team player awards for most improved and most sportsmanlike player will be presented. The closing ceremonies typically last about an hour and will take place rain or shine. 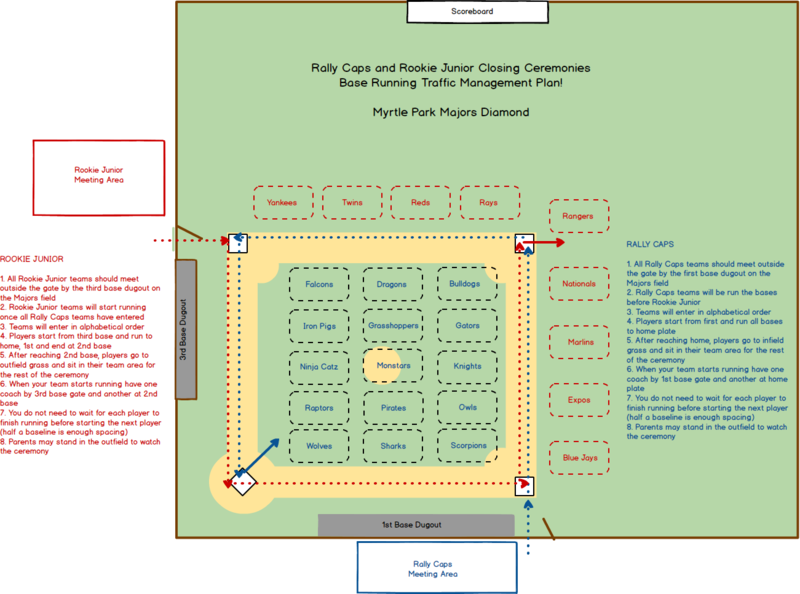 The MSLL Closing Ceremonies for Rookie Junior and Rally Caps will be held on Saturday 23rd June 3.30pm on the Myrtle Majors diamond. All players get to run the bases on the Majors “big kids” field. The Rally Caps teams should all meet outside the field behind the first base dugout, and all Rookie Junior teams should gather by the 3rd base dugout. When we are ready to start the Rally Caps teams will enter first. The players on each Rally Cap team will run the bases from 1st to Home. Once they get to home they will be directed to the infield area to sit with their team. The kids should be following closely behind one another – they do not need to wait for the player ahead of them to finish running. Once all the Rally Caps teams have finished running the bases and are sitting in the infield with their coaches, we will have the Rookie Junior teams enter. They will run the bases starting from 3rd base and ending at 2nd base. From their they will take their place just behind the base paths starting close to 1st base. When all the teams have entered the field we will have a brief speech from the MSLL President. We will then ask one coach from each team to come and collect the medals for their team. The formal ceremony will then end, and teams can find their own space on the field to present each player with their participation medals. We expect the entire ceremony to take approximately 30 minutes. The skills session will follow the same stations as at the mid-season skills day. 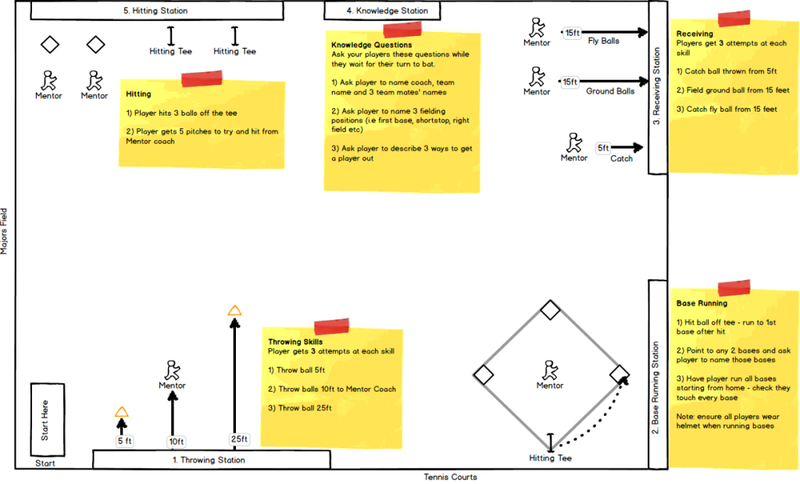 Coaches should complete the player skills certificates based on in season evaluation and players results at the skills days. These certificates can be awarded to the players as part of the closing ceremonies.